Meditation is just not a new way to do exercise but it has carved a distinct spot for itself as a life style phenomenon for the professionals and it is catching too fast as a habit across globe. In its simplest description meditation is the act of sitting still and aware of the present moment and focused upon on the breathing. This is central to all meditative practices and cult. It is very time cosy and even fifteen minutes of day can easily sort out all your mediation practices and habits. First of all, the body position should be simply straight away from the back of the chair. Place the flat feet on the floor and the arms and palms upward. Eyes should be closed and the person should be as much as in still position. 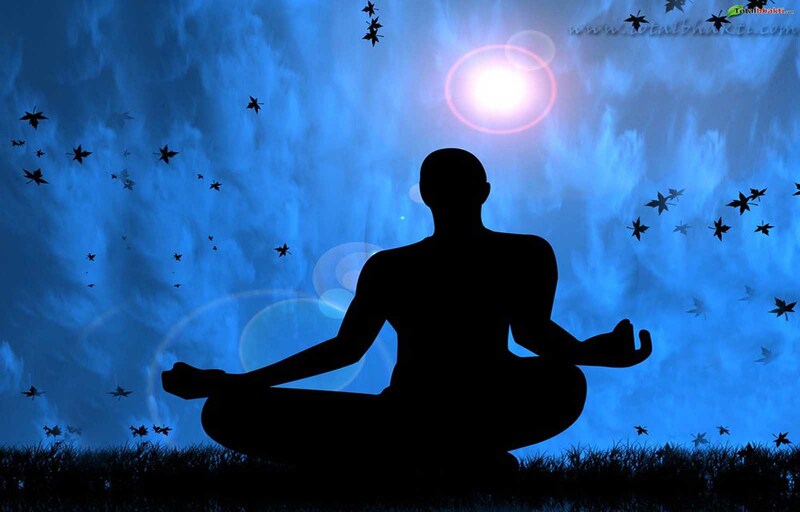 Now before coming completely to the mediation mood it is necessary to relax the body as well as mind. Inhaling sharply through the nose with 1 short and then 1 long inhalation in quick succession, forming a double breath of sorts is a way to relax. In the next step the body should be tensed that one may feel energy and vibrations. The breath and vibrations should be on the hold for full 5 seconds. And in the end exhale forcibly through the mouth and do it several unless the tension does not leave away. The breathing method is very important and core to the mediation. Inhaling should be slow till the counting to eight. Then exhale slowly to the same number and this pattern should be at least 3-6 times. But doesn’t stress the count can vary according to one’s lung capacity. After relaxation concentrate deeply at point between the eyebrows and concentrate the mind as much possible as can. And keep it practicing two-three times. This way frequent mediation help to focus and think more clearly, lower blood pressure improving heart and lung health and definitely reduce stress and negative emotions like anger, guilt and resentment. Meditation...though the word is much in talk these days, it's true meaning is still hidden... The article is quite informative, but again there is a need to cast light on what is actual meditation. It is not merely sitting straight n following inhaling procedures. Rather, its the combination of two major things - Target and the person who meditates, which means when a person (trying to meditate) has a defined target and he focuses only on it, he is said to be in the state of meditation, which is called DHYAN in common language..